Arbitration agreements in long-term care have been the subject of recent industry news. In January, the White House Office of Management and Budget (OMB) reportedly began reviewing a final rule to reverse the Obama-era regulation that banned pre-dispute binding arbitration in nursing homes participating in Medicare or Medicaid. The 2016 rule issued by the Centers for Medicare & Medicaid Services (CMS) prohibited arbitration agreements as a condition of admission and required facilities not enter into arbitration until after a dispute had arisen. Challenged in court by the American Health Care Association (ACHA), the rule was blocked by a preliminary injunction and was never implemented. The judge in this case determined CMS did not have the authority to regulate arbitration agreements. Then, in June 2017, CMS reversed their policy and announced a revised proposed rule in support of arbitration. This rule is now pending regulatory review. Because this rule faces opposition from the long-term care industry and patient advocates alike, it is hard to predict when or if it will be implemented. While the U.S. Supreme Court has recently ruled in favor of nursing home arbitration agreements, see Kindred Nursing Centers LP vs. Clark (May 15, 2017), there is still the matter of whether or not CMS has the authority to regulate said agreements or if some of the new proposed requirements are too restrictive. As it stands now, an estimated 90% of large nursing home chains in the United States currently include pre-dispute arbitration clauses as a requirement for applying to be admitted. The nursing home industry in general is in favor of enforcing arbitration agreements, pointing to swifter dispute resolutions and reduced expenses for all parties. According to the 2018 Aon General and Professional Liability Benchmark for Long Term Care Providers, claims that were resolved with arbitration agreements closed more than two months faster than other claims, on average. Patient advocates, on the other hand, believe forced arbitration threatens residents’ rights to dispute resolution by a judge and jury and reduces the likelihood of a payout. They also call out the fact that the private nature of arbitration proceedings can keep the public in the dark about potential malpractice issues at facilities. The importance of following these proposed requirements for effective arbitration agreements are highlighted in recent cases. For example, in Stephan v. Millennium Nursing & Rehab Ctr., 2018 WL 4846501 (Ala. Oct. 5, 2018), the signature on the contract did not belong to the patient, but rather his daughter. Because she did not hold power of attorney or other legal authority and the resident never signed the paperwork, it was determined an enforceable agreement was never formed. In Cullinane v. Beverly Enterprises-Nebraska, Inc., the arbitration agreement was invalidated due to the contract being misleading and confusing. Arbitration as an alternative dispute resolution in long-term care is not going away any time soon. These agreements will continue to be an important piece of documentation in healthcare litigation. As part of our medical record sorting and summarization service, Excelas will locate arbitration agreements within admission documentation or determine if they are missing. We evaluate the signature to confirm whether or not the resident signed the contract. 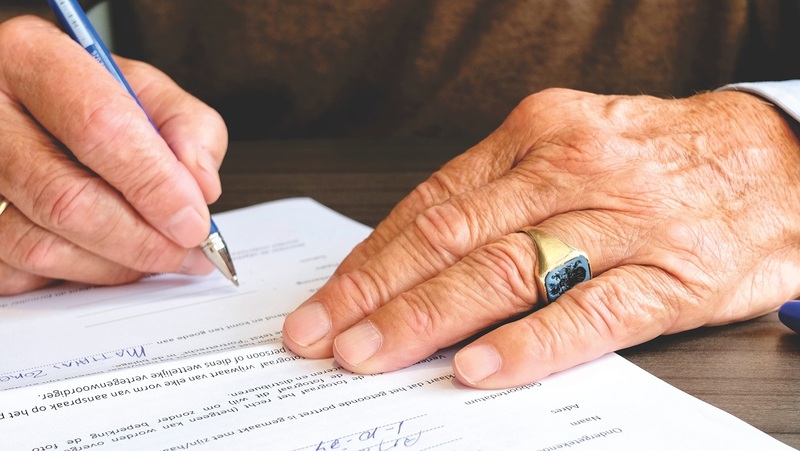 If the signature does not belong to the resident, we find their documented relationship to the resident as well as their legal authority to sign. We also determine if the resident refused to sign the agreement.